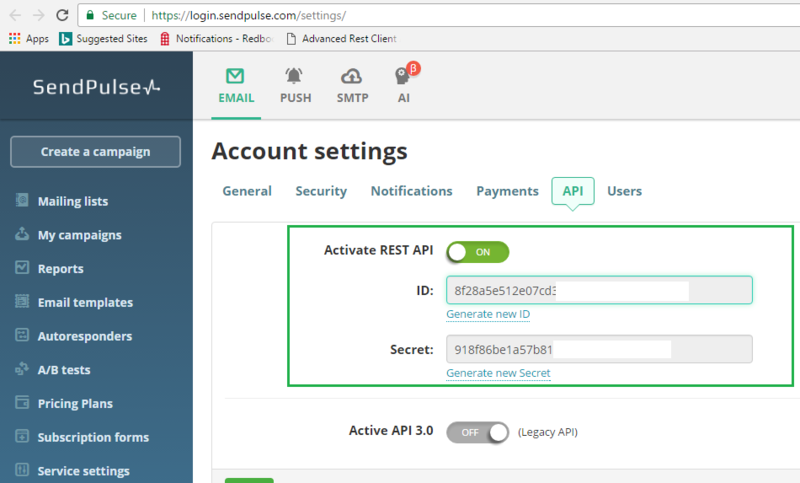 Click here for more information from Sendpulse on this integration. Navigate to Settings > API tab. Activate the REST API and copy the ID and SECRET for later use. 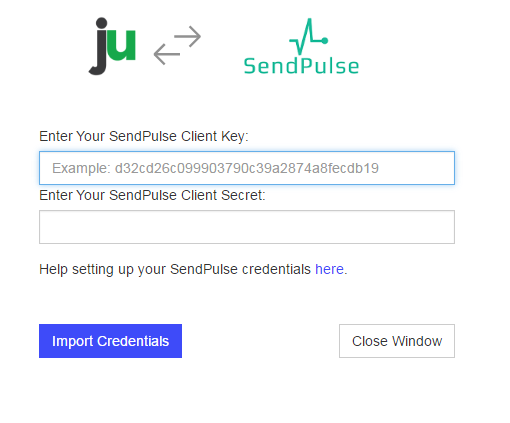 Click the “SendPulse” tile and authenticate. 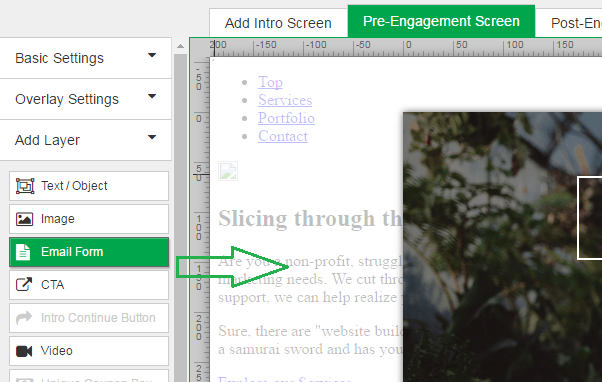 Enter the API KEY and SECRET you copied earlier into the screen that appears. Once authenticated, you will see your current SendPulse Mailing Lists appear. Select one list you would like contacts to be added to or create a new one. The new one will be added to your SendPulse account and will be available for immediate selection. SendPulse uses the form fields we provide as Variables that are added to each new contact collected through Justuno. 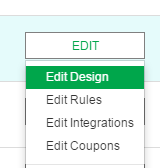 Use the provided fields or click “Additional Fields” to create new fields.